Yaz and Yasmin are oral contraceptives used to prevent pregnancy. The combination of drospirenone and ethinyl estradiol stops ovulation (the release of an egg from the ovaries) and causes changes to the uterine lining that makes it harder for fertilized eggs to attach. Manufacturer Bayer Pharmaceuticals Inc. also promotes the birth control pills as a way to treat acne and premenstrual dysphoric disorder side effects like depression, anxiety, irritability, fatigue, breast tenderness, muscle pain, headaches, weight gain and breast tenderness. Yasmin was approved by the FDA in May 2001. This new type of contraceptive differed from other products on the market in that it contained a new form of synthetic “fourth generation” progesterone called drospirenone, which is closely related to the diuretic spironolactone. The manufacturer said this unique chemistry made Yasmin more effective than other forms of birth control, despite a lack of evidence to back this claim. The FDA began its review of Yaz in 2004. Like Yasmin, Yaz contained drospirenone. Yet, this time around, Bayer dropped the level of ethinyl estradiol from 30 mcg to 20 mcg and changed the dosage instructions. At the time, most birth control pills had a regimen of 21 active pills, followed by 7 placebo pills. The unique aspect of Yaz was that it put women on a schedule of 24 active pills, followed by 4 placebos. The manufacturer said this new cycling would help reduce the troublesome symptoms of PMS. Yaz was approved for market in 2006. In 2008, Ocella (the generic version of Yasmin) was approved. Manufactured by Barr Pharmaceuticals for $15 a month (versus the $50/month Bayer charged for Yasmin), the pills are compositionally identical. Gall bladder disease – A study published in the Canadian Medical Association Journal in April 2011 found a 20% greater risk of gallbladder problems for women taking Yaz, Yasmin or Ocella. Women taking the pills longer than two years had a 30% more likely chance of having a gallbladder removed. Blood clots & stroke –The FDA reported in October 2011 that preliminary test results suggest a 1.5-fold increased risk of blood clots for Yaz users, versus those who take other forms of birth control pills. The study found that 6 in 10,000 women on Yaz would get a blood clot each year, compared to 10 in 10,000 on other types of birth control. A 2012 study in the journal Contraception found a 77% increased risk of Yaz blood clots among patients and revealed that Yaz and Yasmin users were twice as likely to have a stroke as women on other types of oral contraceptive. Bayer has a long history of FDA warnings and label updates regarding Yasmin and Yaz. October 2008 – Two years after the release of Yaz, Bayer received a warning letter from the FDA that they were “overstating the efficacy” of the product and “understating the risks” – such as the potential to increase blood levels of potassium. February 2009 – The following year, Bayer embarked upon a $20 million corrective campaign. The new ads clarify the difference between PMS and PMDD. They also clarify the pill’s effects on acne. April 2010 – The FDA demands updates to Yaz safety label to include risk of blood clot and vascular problems. March 2011 – The updated warning regarding risk of stroke and blood clot is implemented and extends to all combined oral contraceptives (COCs). December 2011 – Former FDA commissioner David Kessler issues a report stating that Bayer purposely omitted safety data concerning the risk of Yaz-related blood clots. An FDA advisory panel votes 21 to 5 to update the label to adequately warn women about the potentially-fatal blood clot risk, but there is no deadline. 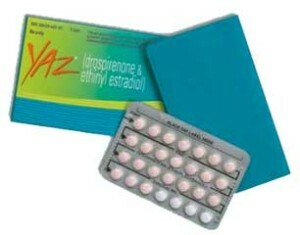 April 2012 – FDA updates labels on Yaz and Yasmin to state that users of drospirenone-containing birth control pills may be three times’ more likely to develop blood clots. The number of Yasmin and Yaz lawsuits has continued to pile up over the years. In October 2009, the U.S. Judicial Panel on Multidistrict Litigation (JPML) moved to consolidate qualifying lawsuits involving Yasmin and Yaz in front of David Herndon in Illinois federal court. Plaintiffs from around the country alleged disabling injuries after taking the pills, ranging from deep vein thrombosis (DVT) and pulmonary embolism to stroke and gallbladder problems. In 2011, a watchdog group reported that four of the 26 members on the FDA advisory committee had financial ties to Bayer and Barr manufacturing. These advisers pushed to keep Yaz, Yasmin and Ocella on the market and emphasized that the risks of Yaz blood clots were not much greater than the risk of other oral contraceptives. As of February 2012, there were more than 11,300 product liability claims filed, according to Bayer’s annual report. In mid-February 2012, Bayer settled 70 lawsuits alleging that Yasmin and Yaz caused injury and death. In April 2012, they paid $110 million to settle another 500 lawsuits regarding fatal blood clots. By August 2012, Bayer had settled nearly 1,900 Yaz lawsuits amounting to $402.6 million. The most recent statistics indicate that Bayer has settled 4,800 cases involving blood clot injuries for $1 billion and has set aside $24 million for claimants suffering gallbladder disease from taking Yaz. Plaintiffs who feel they have been injured by their use of Yaz or Yasmin are still being urged to file their complaints against the manufacturer.